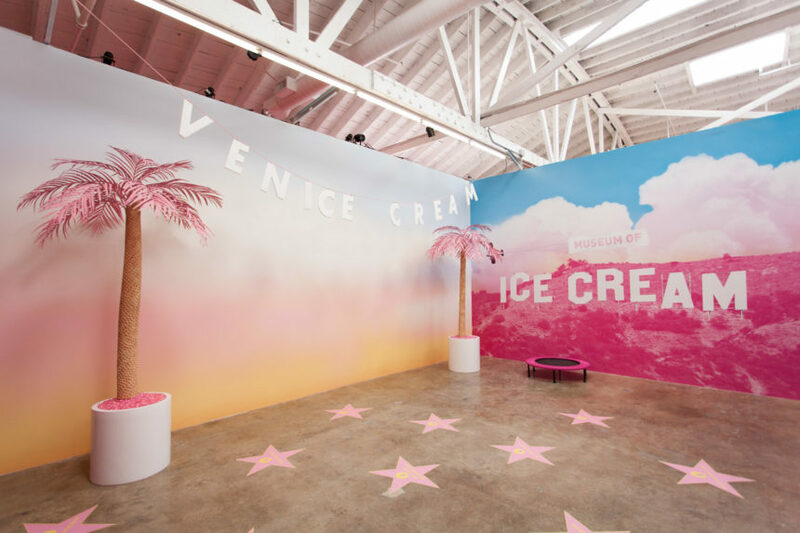 If you’ve been on Instagram in the past month, you know that the Museum of Ice Cream has taken over the Los Angeles Arts District. 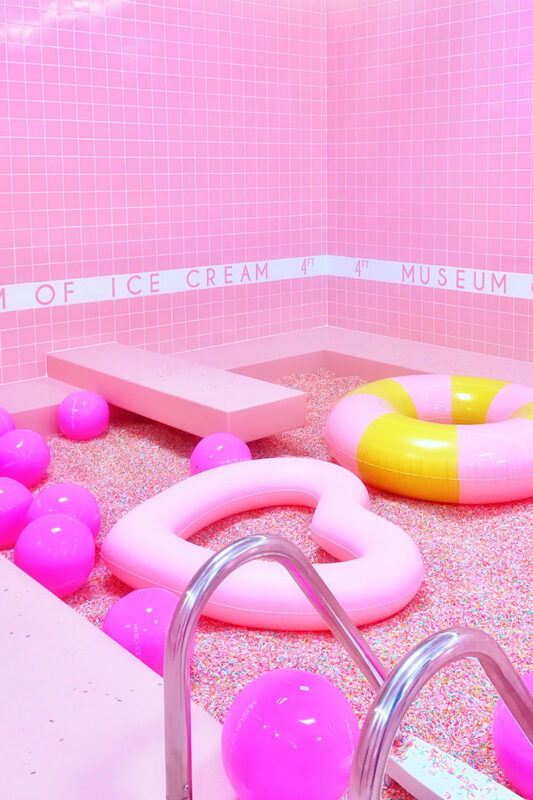 The colorful exhibits range from a mint room and giant gummy bears to the fan favorite sprinkle pool. The museum, which its website coins as “the place where ideas are transformed into real life experiences,” was previously in New York before making its way to Los Angeles in late April. + Photo from Studio DIY. Lead photo from LA Weekly. 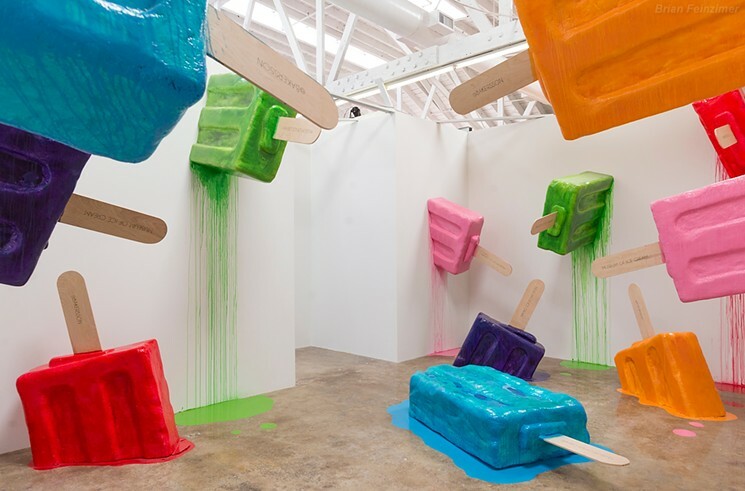 The exhibits bring childhood dreams to life, with rooms full of giant melting popsicles, scratch and sniff wallpaper, and a banana split room with yellow and pink bananas hanging from the ceiling. There are plenty of Instagram-worthy bright colored walls and neon signs along the way, too. A ticket, $29 for 13+ and $18 for seniors and children, includes the cost of admission, covers two ice creams, and allows for all of the photos you could want. The museum recently announced they will be staying in Los Angeles through August. While tickets are sold out, you can sign up for their newsletter for ticket information and future locations.